Staff and volunteers at the Park are celebrating following the announcement at an awards ceremony held in Bath. Moors Valley had strong competition, from both Blenheim Palace in Oxfordshire who took Silver and the National Memorial Arboretum in Staffordshire who took Gold, in the category. In February, the popular country park in East Dorset received Gold in the South West Tourism Awards, which means Moors Valley Country Park has had lots to celebrate already in 2018 – its 30th anniversary year. 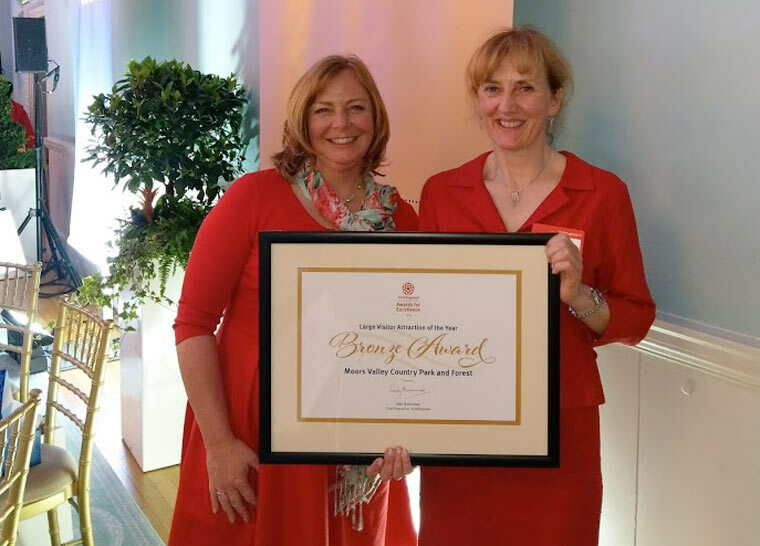 Clare Gronow, Team Leader at the Park, and Tracey Churcher, Recreation Manager for the Forestry Commission accepted the award on behalf of the staff and volunteers at Moors Valley.